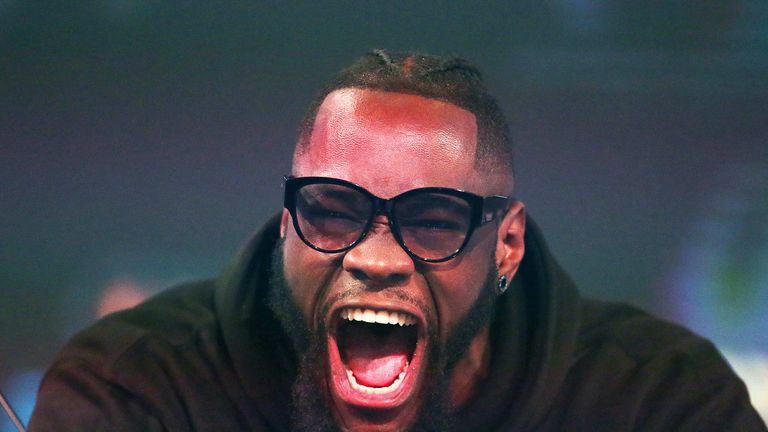 Deontay Wilder reiterated his desire to face Anthony Joshua and claimed that "cooperation" is the key to sealing the undisputed world heavyweight title fight. Wilder must first defend his WBC belt against Dominic Breazeale on May 18 before Joshua puts the IBF, WBA and WBO gold on the line against Jarrell 'Big Baby' Miller on June 1, live on Sky Sports Box Office. Joshua's promoter Eddie Hearn said last week that there was "a clear desire from both sides to make the fight" and now Wilder has welcomed a bout that would put every major heavyweight title up for grabs. "We need to see one champion, one face, one name. It is a mighty task to getting that complete. It takes cooperation with a lot of people to make that happen," Wilder said about Joshua. "Everybody wants to see the big fight but there are certain things we need to do - [Breazeale] is the mandatory. One fight, one step at a time. "I bring the excitement, I hold all the keys, I am the man in the heavyweight division. Ain't no other fighter doing what I'm doing." Wilder was speaking at New York's Barclays Center, the venue where he will meet Breazeale (a former beaten opponent of Joshua's). This fight was ordered by the WBC, leaving Dillian Whyte still searching for an opponent, after Wilder's talks to rematch Tyson Fury broke down. They dramatically drew in December, the first time Wilder did not win in 41 fights. "I consider mandatories like flies, always buzzing in my ears especially when I'm trying to do something for the division," Wilder said. "Every man I face lands on the canvas and I will continue to do that. No man will get in the ring and defeat Deontay Wilder." Breazeale, who will have trainer Virgil Hunter in his corner for the first time, replied: "I'm a great fighter but there are always things to be learned. "I bring something to the fight game that everybody wants to see. I will bring pressure. I am sick of seeing this bum walk around with this belt. "Everybody will rise up when I knock him down. "He does nothing right, he has no traditional skills, he is wild." 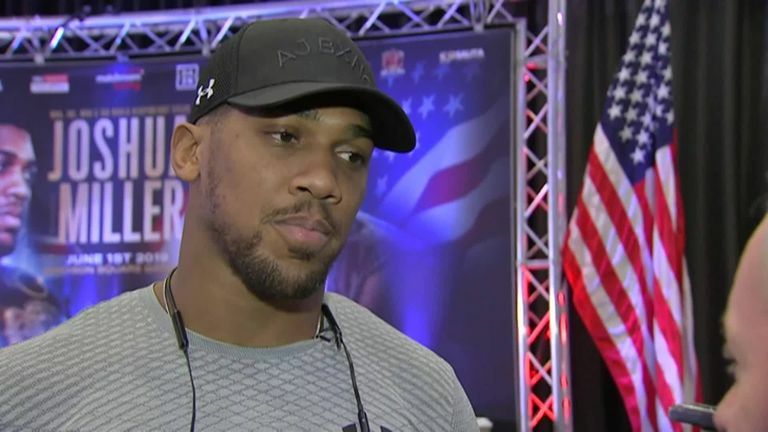 "When the conditions are right, Deontay would love to fight Anthony Joshua," his representative Shelly Finkel told Sky Sports earlier this month. Last week, Joshua's promoter Hearn said: "I feel like we've done absolutely all we can."